Fancy a trip through time to save the future? That is the basic premise behind the NBC series Timeless, created by Eric Kripke (Supernatural & Revolution) and Shawn Ryan (The Shield). As a person who often daydreams of what it would be like to travel through time, this series caught my attention immediately. 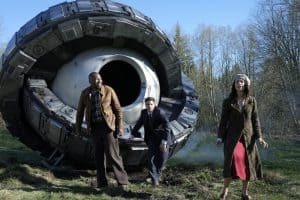 The concept, while not completely unique, is different when I stack it against past time travel series I have watched over the years, including Doctor Who, Voyagers!, Quantum Leap, The Time Tunnel, Flashforward, Life on Mars, and Legends of Tomorrow. 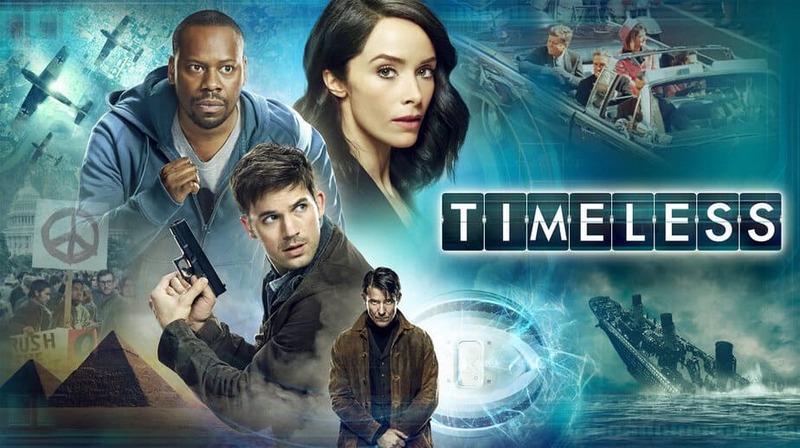 The series focuses on a team assembled to help find and stop the thief of a time machine built by Mason Industries, a covert research group. 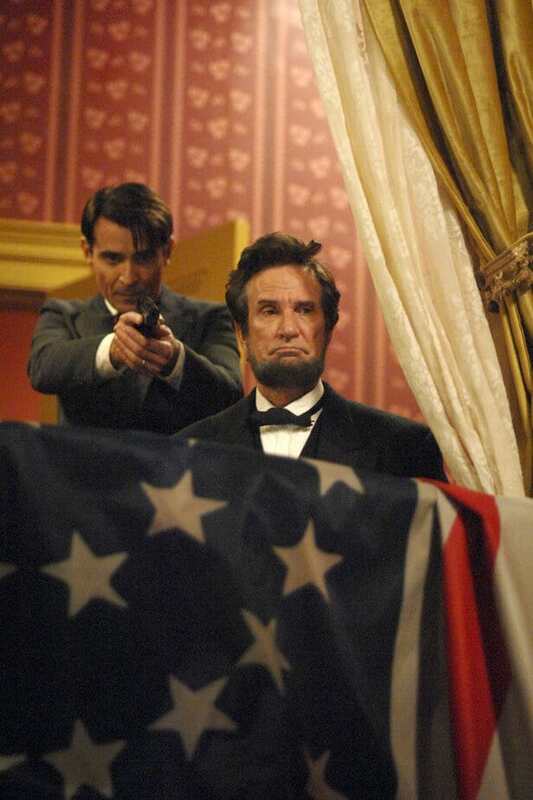 The thief, Garcia Flynn (portrayed by Goran Visnjic), uses the machine to travel throughout time to change events and the course of history. 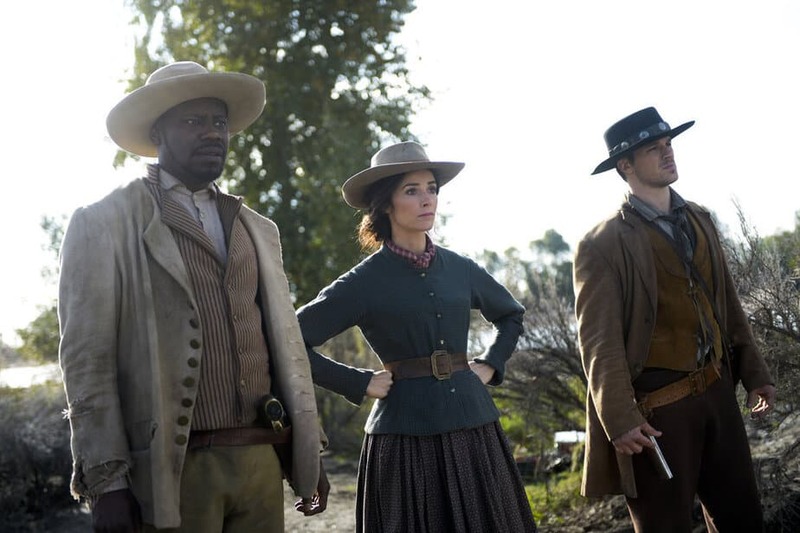 The team assembled to search through history for Garcia Flynn is headed by Lucy Preston (Abigail Spenser), who is a historian recruited by the government. Wyatt Logan (Matt Lanter) is the “muscle” and protector during their voyages. Rufus Carlin (Malcolm Barrett) is the pilot of the time vehicle, called The Lifeboat, and at times a reluctant hero. Without giving too much away, the series takes its time to show a little of the characters’ backstory and motivation. While Rufus is a genius and the tech guy for the team, he is shy and socially introverted; at times, he is also a fantastic gateway for some of the more lighthearted moments. The team is also paired up well because they not only help each other out, they support one another. The time machine used by the team is a backup vehicle, called “The Lifeboat”. It is not glamorous or slick looking machine in comparison to the primary machine, which gives the series a little more authenticity to me as a viewer. The team runs into some common historical events, from the Alamo to the destruction of the Hindenburg, as well as historical figures ranging from Abraham Lincoln to Ian Fleming. Another great trait of this series is that the writers incorporate aspects of history into the storylines that are not only entertaining, but also informative. Without giving up too much away, in a recent episode, they introduced Cracker Jacks and Pabst Blue Ribbon. One aspect I applaud about the series is that it addresses race and gender straightforward without making the topic too serious. In fact, the writers use this in some cases as part of the solution. In one episode, they run into Katherine Johnson, the NASA mathematician, who is also the focus of the recently released movie Hidden Figures. While typical heroic and adventure series give you a sense that the good side wins each time this series takes a slight twist where the missions are not entirely successful, creating alterations in the historical events. Watching how the team works to resolve the situation they are confronted with makes the series unpredictable. Personally, I think after watching each episode how history would change if some of the thing I just watch did in fact happen. 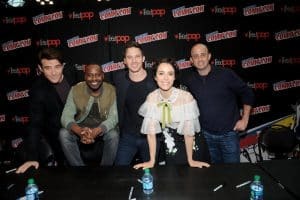 As I have watched the episodes unfold since the premiere, I have found that there is a lot more to this series than meets the eye. There is a complexity behind Garcia Flynn, and we get to see what motivates him to do what he does. There are also over-influences and conspiracies, which have an impact on our team of heroes. This is not a typical serial adventure series; there is something interesting and engaging each week. If you have not had the chance to watch this series, I recommend you reserve some time on your Monday evenings and give it a shot. Join the TV discussion on the FoCC forum by clicking here.